Yes. 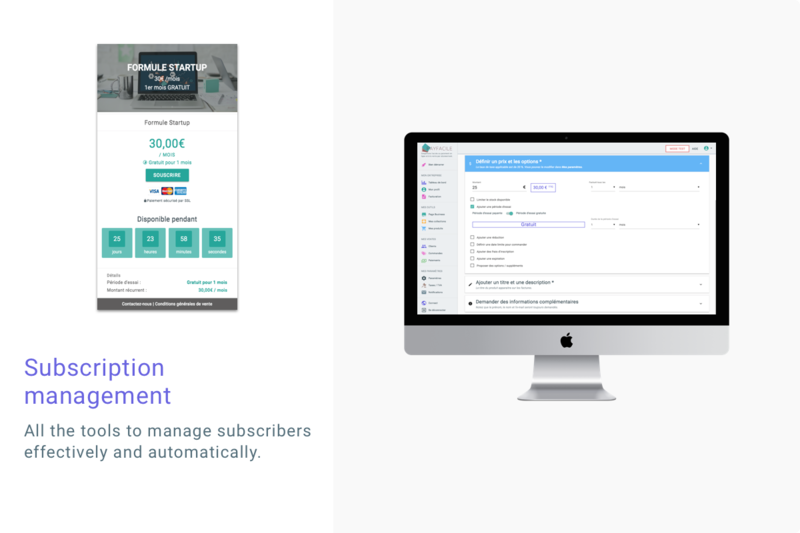 Payfacile offers all the tools to sell subscriptions in a powerful and automated way. Instant integration with payment gateways. Creation and hosting of payment / registration pages. Customization of payment methods and the payment pages design. Automatic management of recurring payments (automatic debits). Notifications emails for multiple events. Creation of an invoice for each payment. Creation of a personal space for each of your subscribers so they can download invoices, update their contact and their credit card informations, and terminate their subscription if you allow them to. Automatic reminders in case of automatif debit fails. Automatic reminders if bank card expires. Update each subscription renewal date. Update each customer billing date. Add positive or negative amounts to your customer&apos;s balance.